With Christmas coming up in just six short weeks, Christmas shopping is well underway for most people. That is if you aren’t one of the organized people who get it all done by October then put their feet up to watch everybody else panic over last-minute searches for the perfect gift at the right price point which will arrive in time. 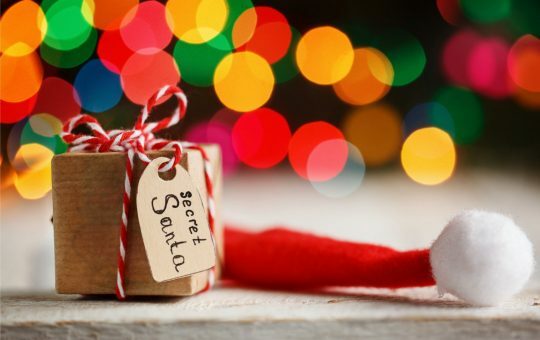 Secret Santa is a Christmas gift-giving tradition which people tend to introduce around this time. It may be among your friend group, your family, or your department at work. You will all pick a name at random and buy a present for that person. The aim is not to reveal who you are to the recipient, which can make it tricky if you are not sure what to buy for them. Each group will usually set a budget, which can also affect your gift options. You need to balance the recipient’s personality with the context, too. 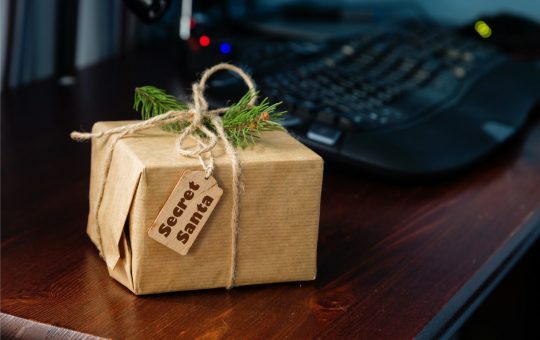 This guide will help you to find appropriate and affordable Secret Santa presents. A fiver makes the game easier on your wallet, but finding a good cheap present can be difficult. The foundations of Secret Santa gift-giving lie in skincare, food, and gadgets. Technology is tough on a tight budget, but skincare is for everyone, and luxury doesn’t have to break the bank. The limited edition Christmas range at Lush features plenty of products for less than £5. The vibrant “Sugar Plum Fairy” body scrub is only £2.95, and the adorable “Butterbear” is available as a bath bomb for £2.75 or shower jelly for £3.95. There are lots of festive bath bombs for £3.95 each, such as “Cheery Christmas” or the “Candy Cane” bubble bar, or £4.95, such as the “Star Light Star Bright” bath melt or “Puddy Holly” bubbleroon. To keep with the seasonal theme, there are various novelty Christmas socks available from ASOS. Get Christmas pudding or glittery Jingle Bear socks for £3.50 each, elf socks complete with pom-poms for £4, or socks with a fairy lights pattern for £5. You can also find small novelty items like this keyring flask for £5. 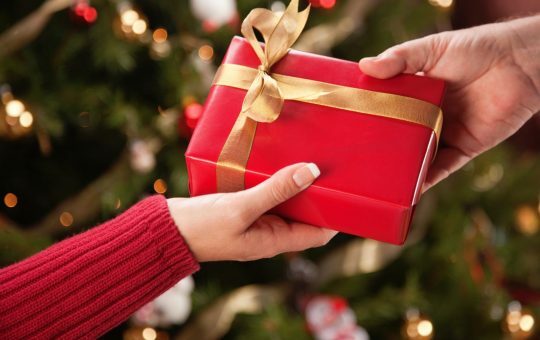 The most common Secret Santa budget is probably £10. It gives you a bit more space to find a significant item or buy two or even three smaller gifts. This is when the 3 for 2 mix-n-match offer at Boots will come in handy. There are lots of unique little gifts you can put together to create a small gift package, while only paying for the two most expensive items and getting the third free. The offer includes the Krispy Kreme bath fizzer for £4 or a 3-pack of The Avengers bath fizzers for £5. Get novelty lip balms such as Brussels sprouts for £3 or a Jelly Belly pack for £6. You can get a set of Pac Man magnets for £4 or tiny laser guns for £6. Other items include a £6 Nivea For Men gift set, a Pusheen cookie-making kit for £6.50, and a set of 3 mini Yankee candles for £4.99. For people who are always on their phone, you can buy a lazy arm smartphone mount from ASOS for £9.99, or a mini emergency charger for the same price. These are available for Android phones and iPhones. Little books are also a cute gift idea, such as 100 Things to Pick You Up When You’re Feeling Down for £6.99 from ASOS, or a book about their star sign for just £5.75 from WH Smith. Or you could gift someone an Entertainment Pass from NOW TV, with 2 months available for £10. The common sources for unique and fairly cheap gifts all year round are the crafty Not on the High Street and the wackier Firebox. For a £10 budget, you could buy these pencils for a coffee lover at £6.95. You can get a Prosecco dipper for £7 or a Cookie Wookie for £6 for a Star Wars fan. The main draw of Not on the High Street is their wider range of personalizable items. For £10 exactly you can purchase a card holder or bottle opener with their name or initials on it. Or you could buy this meta Secret Santa mug. Firebox offers a lot of unique food treats. Buy space food at £5.99 for the adventurous, or £8.99 hot chocolate bombes. For adults only, you can get whisky chocolate for £7.99 or real wine gums for £8.99. They also offer quirky items like tin-of-soup socks or cute “cable bites” at £6.99 each. Everybody is a fan of David Attenborough documentaries, so snag someone an activity book for £7.99. For £9.99, you can get a Game of Thrones egg cup or a desktop waving inflatable guy. However, it needs a battery. With a higher budget of £15, it should be easier to buy multiple presents. You can mix and match from the smaller and cheaper items from the lower budget categories. Or you can go for more expensive single items if you prefer. This adorable and seasonal Paperchase gingerbread hot water bottle from ASOS is £12. If they have recovered after Avengers: Infinity War, you could buy them a gauntlet mug for £12.99. At £14.99 you could treat somebody to a mini UFO drone or a Hollywood lights mirror. These both require batteries which aren’t included, though. If they are a movie fan, you could buy a Sky Cinema Pass from NOW TV for 2 months at £15. From Firebox, you could get a cute Frozoon floating animal planter for £10.99. Or at £14.99, get a useful Pokito collapsible travel cup or a Power Pets portable charger. Food and drink gifts also abound at Not on the High Street. You could buy a gift box of beer truffles or Prosecco truffles for £12. Get a bubble tea making kit for £15, or a make-your-own-freakshake kit for £16 if you’re willing to go £1 over. Or pick up some £9.99 baubles from Firebox to fill with your own selection of alcohol. 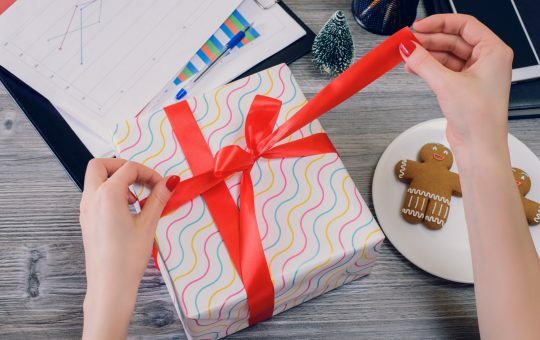 Most group or workplace Secret Santa projects wouldn’t go over £20 for the budget. If you are willing to spend that much, you can browse the more expensive items on the aforementioned websites. You can still opt for the 3 for 2 offer at Boots. Mix and match with some higher-priced items instead, such as a tin of classic fudge or some festive chocolates for £8 each. Or depending on their taste, buy a Nutella mug or a Nando’s peri-peri saltshaker for £8.50 each. You could pick up a pack of 6 votive Yankee candles for £9.99. Or for £10 each, go for a mini cider selection, a chocolate cupcake mix jar, or a scented Reese’s cosmetics bag with lip balms. From Firebox, you could grab a Dancing Groot Chia Pet or some fun coffee paints for £15.99 each. If you want to go up to £19.99, you could gift someone an adorable Purrito teddy. Or for the same price, get a mini laser tag game from ASOS. It has two mini lasergun handsets for a one-on-one game and even comes with batteries, so you don’t have to pay separately. You could treat somebody to a gift card from Cineworld. Considering the price of cinema tickets, £10 wouldn’t go very far, and the next available amount is £20. However, if you want a physical gift card, delivery will cost £1.50 – unless you go into your local Cineworld and pick up a gift card in person instead. If they are a music fan, you might consider buying a gift card from Ticketmaster. However, again, it would be a minimum of £20, plus £2 for delivery of a physical gift card. With a higher budget, you can also have your pick of presents at Waterstones. It’s not just books! Whether they prefer fiction or non-fiction, humour and coffee table books, or games and novelty gifts or stationery, you can find something to suit any personality. They also have a range of Harry Potter items, some fun gadgets, and pretty notebooks to choose from. Whatever your Secret Santa budget is, it’s time to go shopping! Please note that none of the prices factors in the shipping costs, so you may go over the budget once you include the price of delivery. This guide also does not factor in the availability or shipping times for individual items. You should check these before placing orders to avoid disappointment! 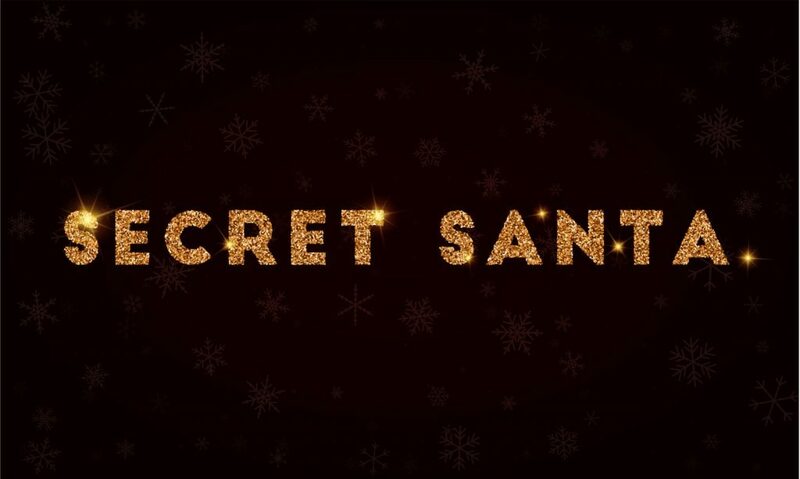 Order soon to ensure that your gifts arrive in time for your Secret Santa gift exchange. Use your discretion when buying adult-themed gifts, including alcohol.